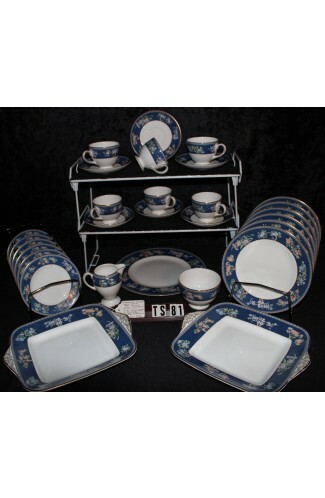 Vintage - Beautiful Susie Cooper "Blue Orchid" Pattern Dinnerware Set. 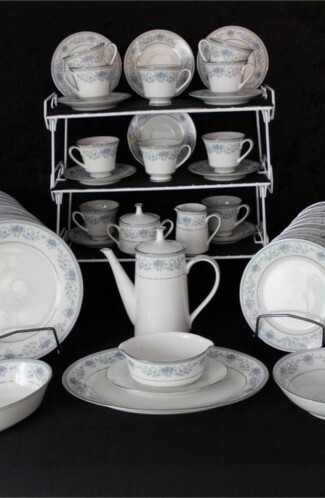 Produced in the 1930's. Back Stamp shows a Susie Cooper Deer logo, followed by "A Susie Cooper Pruduction, Crown Works, Burslem, England". Set of (35) Pieces of a lovely Blue-Gray Orchid Flower on a light background, surrounded by Polkadots. A Yellow Verge encircles the flower, and a wide Blue-Gray Band is on the Lip. 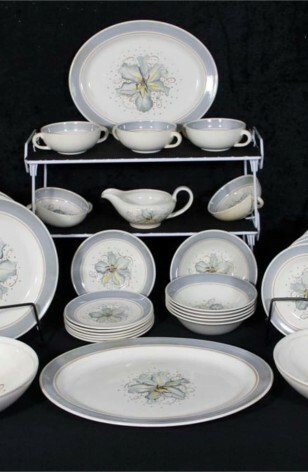 Vintage - Beautiful Susie Cooper "Blue Orchid" Pattern Dinnerware Set. Produced in the 1930's. Back Stamp shows a Susie Cooper Deer logo, followed by "A Susie Cooper Pruduction, Crown Works, Burslem, England". (35) Pieces of a lovely Blue-Gray Orchid Flower on a light background, surrounded by Polkadots. A Yellow Verge encircles the flower, with wide Blue-Gray Band is on the Lip. 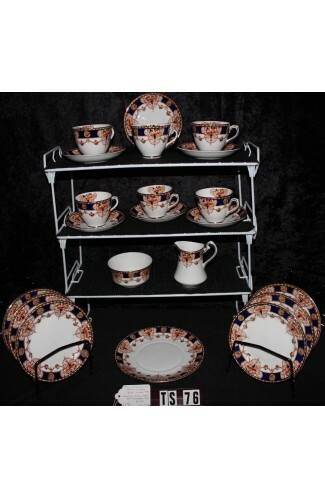 6 - Dinner Plates - 10 5/8"
6 - Salads Plates - 8 3/8"
1 - Gravy Underplate - 6"